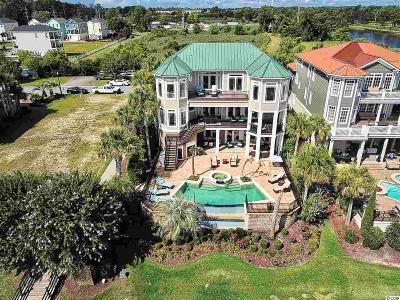 Professionally decorated, fully furnished 4 BR/ 5 BA home with elevator, heated infinity pool and spa, overlooking the Intracoastal Waterway and Marina with a boat slip! Simply too many upgrades to list but includes, 24 travertine tile flooring, custom carved cabinetry and paneled refrigerator, security system, custom-tiled glass seamless showers, upgraded lighting, Viking range, double ovens, double dishwashers, a 2nd kitchen on the ground floor with another dishwasher/wetbar/wine cooler, 2 Rinnai tankless water heaters, 500 gallon propane tank, 2 laundry rooms, central vacuum, dual rain showers in the master bath and a claw foot tub, loads of storage including a pool equipment room, and nook under the stairs currently used as a play space. Freshly painted inside and out. Custom designed window treatments and bedding. This home truly shows like a model and is move-in ready! 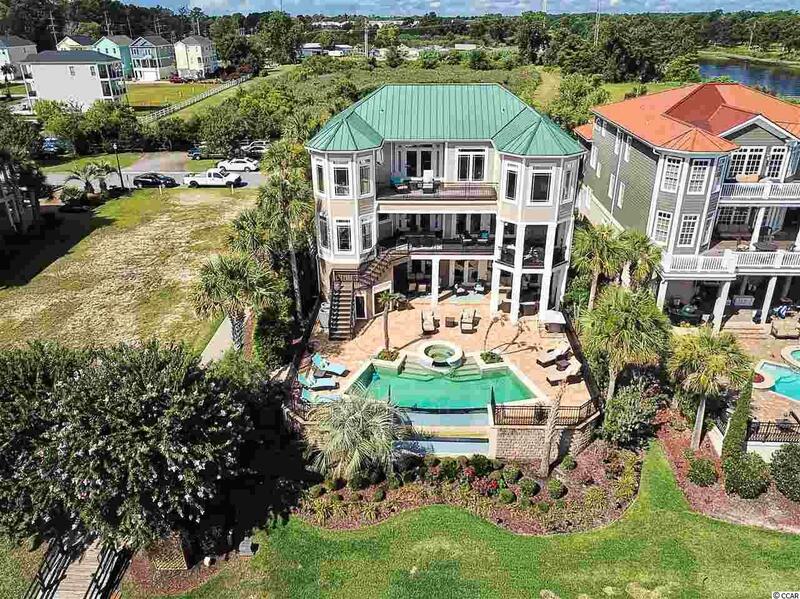 Approximately 30 restaurants, a variety of grocery/drug stores, Walmart, and the beach are close by and can be accessed via golf cart! Fabulous location and absolutely stunning home. Seller owns a 50 boat slip directly behind the property in the Marina and will include the slip (without lift) with a satisfactory offer.